City's shock 3-2 home defeat by struggling Crystal Palace on Saturday has certainly put a new perspective on the league table heading into the busy holiday period which culminates with current leaders Liverpool visiting the Etihad to face City a week on Thursday (January 3). "I don't think he will be concerned about that and he'll know that no matter how Liverpool play they will come up against a game like this. They will go somewhere and someone will beat them against the odds. There is a long way to go yet." 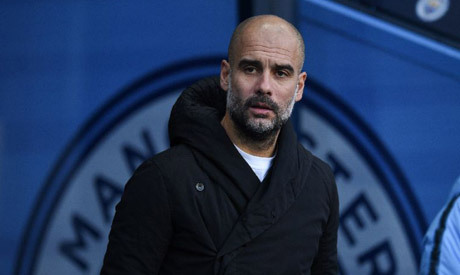 Certainly, Guardiola's three seasons in Germany offered him little in terms of preparation for a close, down to the wire title race, with Bayern winning the league by at least double digits in points in each of his three seasons -- including 2014 when Munich beat now Liverpool manager Jurgen Klopp's Borussia Dortmund into second place by a staggering 19 points. In 2009/10, however, Barca pipped Real by just three points -- Guardiola's closest title race to date -- and retained their crown 12 months later, this time by only four. Holding midfielder Fernandinho missed the Palace defeat with a slight injury concern and proved a major miss, while Guardiola opted to start Kevin De Bruyne and Sergio Aguero -- two key attacking players who are returning from injury lay-offs -- on the bench.